Vegan Friendly Lip Scrub Brush - 3in1 Exfoliator Beauty Tool, Organic Activated Charcoal Anti-Bacterial, Anti-Viral - Cruelty, Dye And Petroleum Free, Turn Chapped, Dry or Flaky to Smooth, Plump Lips. Have dry, chapped or flaky lips ever prevented you from looking your best and usually at the wrong time, before a big date, night out or special event? 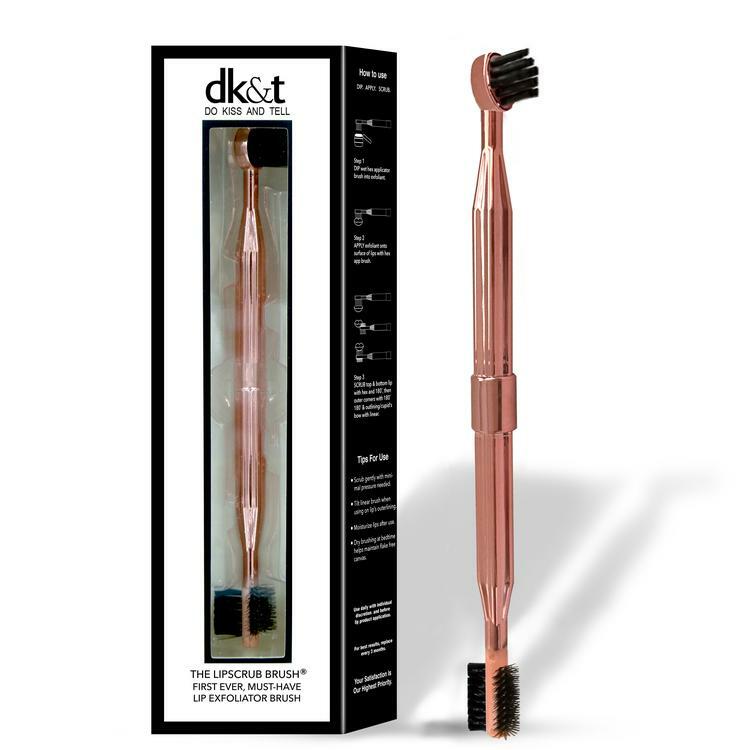 Do Kiss & Tell™ introduces The LipScrub Brush®, The World’s First Lip Exfoliating Beauty Brush™! The Original Non-Surgical Lip Plumper™ so that you can kiss your dry, chapped or flaky lips goodbye! Pair this 3-in-1 activated charcoal exfoliating brush with your favorite lip balm, lip scrub product, DIY scrub or use it alone, dry brushing. This beauty brush gives you the highest grade of exfoliation while simultaneously plumping! Prepare your pout for long-lasting lip liners, lip glosses, lip stains, lipsticks and mattes with the perfect flake-free canvas. Flake Free Lips are just a click away. Get yours now!